Want to know how to use humor in your writing, marketing and presentations? Listen as humor expert, David Glickman, shares how funny is the new serious. If laughter is the best medicine, then a dose of David Glickman should be covered under every insurance. He’s been a professional speaker and entertainer for over 25 years, and has presented over 2,000 speeches and shows. He’s appeared on the Evening at the Improv, and several other national television shows. He’s been the opening act for stars such as The Beach Boys, Ellen DeGeneres and more. David has worked with Steven Martin and even performed at Gloria Estefan’s birthday party. In addition to his performing expertise, David has a wealth of business experience. He’s the former owner of a chain of comedy clubs, as well as the current owners of a popular humor-writing service for executives. David believes that funny is the new serious, and that with the proper perspective, you can enjoy a successful work-laugh balance. Q: David, there’s a lot of confusion between humor and comedy. Would you set the record straight for us, so that we can really understand the difference between the two. A: The joke I usually say is the difference between a comedian and the humorist are the number of zeroes at the end of a paycheck. A humorist makes far more revenue than a comedian would for possibly the same material being delivered. It’s positioning and marketing, but it’s not really that simple. Comedy is kind of no holds barred, not a lot of rules, not necessarily a lot of filters. It’s a broader way of getting people to laugh, but it’s also done in venues and settings where it’s using material that would not necessarily be appropriate for all audiences. Humor is typically much more driven for all audiences. Meaning that if I’m a humorist, I can present just as well to an audience of middle-aged folks, as to an audience of teenagers, as to an audience of senior citizens. It doesn’t matter whether I’m doing that in presentations, or in the written word. Humor is something that’s going to be more acceptable to all audiences. 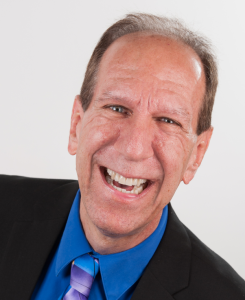 Contact David Glickman to find out more about his humor writing and presentation services.